I want good, comprehensive health coverage. I'm 34 y/o. I'm disabled. I get Medicare A&B. I smoke. I've always had additional coverage, most recently through my husband's employer. We're paying COBRA now because he got a new job and his new employer will not be covering me. Medigap A is one option I am entitled to. The only Medicare Advantage plan that appealed to me had a list of in-network doctors who had a disproportionate number of names that I could not pronounce, so no thanks to that. I can get a Medicare supplement without the help of this board but I don't know that I want it. I DO know that I want comprehensive coverage, I know that I want good service with no hassles, and I want high quality medical care when I need it, and I also want guaranteed coverage as long as my premiums are paid. That's important to me too. We're talking about my health here. The above factors figure in before the price. I don't know how to find a trustworthy agent who could guide me either. Help? I don't know where to start. My husband's new employer would like to have him covered by Oct 7th. I don't know if I would still be covered under COBRA in that case or not. Either way, I'm anxious to get this insurance thing squared away so that I don't have to worry. When did you get Part B? What part of the country do you live (state and zip)? There are a lot of factors that could decide what plan would be best for you. Your choices are limited to medicare based products. I do not know of one insurance company that would offer a major medical plan to a Medicare beneficiary (unless you were part of a group plan). A supplement would offer similar to major medical coverage depending on what plan you pick (plan F and G are the usual ones that people pick). A Medicare Advantage plan would also work depending on the area you live and the network. Have you looked into a Private Fee for Service plan (PFFS)? I got part B the same time I got part A over 5 years ago. I live in Brazoria County, TX 77581. Why do you say no insurance company would cover me individually? Do you mean cheaply, or not at all? I compared the Advantage plans in my area and I'm not impressed at all with the doctors/specialists within their network. They are scratched off my list. I'm not sure what a private fee for service plan is. I've been looking at the medicare.gov site and they only show the Advantage and Medigap plans. I don't know what all of my options are. I mean that no insurance company will give you an individual major medical plan (like a HumanaOne plan, or CoventryOne plan). Medicare has no max out of pocket. They will keep billing you. That is why most people have a supp to cover costs. Plan F and G are the 2 most popular. Plan F covers Part A deduct, Part B deduct, the 20% co-insurance for part B, and part B excess. Plan G is almost the same but does not cover part B deduct. Part B after the deductible is 80/20. A PFFS plan is a Medicare Advantage plan that does not use a "typical" network. You use any Medicare dr. or hospital that agrees to bill the insurance company. There are organizations that will help you make a decision. Try calling your local county office and tell them what you are doing and they should guide you in the right direction. Most are non-profit so they are not trying to sell you anything. I don't know if I'll still have COBRA coverage if my hubby gets employer insurance on the 7th. I don't want to be underinsured. I want to do something now. I just found out a few days ago that I would be too expensive to cover under a group plan, so I'm working quickly here. Real bad timing on the phone problems! I'm only 34 and had the impression that I could only get Medigap A. Is that impression wrong? I don't understand the deductibles for plan A. 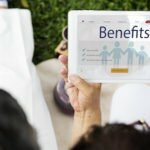 Is the $952 per benefit period, or per year? 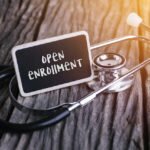 Is there a limit on out-of-pocket costs under plan A? I have a thing done every 4 months. If I remember correctly, Medicare only covers it if I do it at the hospital (3 day stay) instead of having a nurse come to the house. (Ins. thru hubby covers it at the house.) That right there would be nearly $3k if it's per benefit period. By the way, I really appreciate your help. I don't get it? 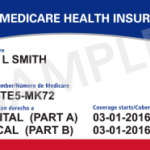 If you qualify for Medicare you need to have B and A if possible and it does sound like that is very possible. Then you need to get either a Supplement, G or F are real good and will likely take care of everything you need with virtually no OOP or out of pocket. You can go to Advantage PPO and see any dr. that excepts Medicare at no cost thru Horizon or Coventry and many others. You'll pay a small Co Pay and a large Hospital Copay. Yet the PPO's that are coming out have Max OOP, usually around 3000 grand a year. If you plan on being in the Hospital alot then a Supplement will be far better and cheaper. At your age make sure to pick up a Issue Age Policy, it may be a little more now but the rates will not go up as you age base on your age. As far as i can tell you don't have much of a choice and Medicare along with a Supplement or Advantage Plan will do you great. 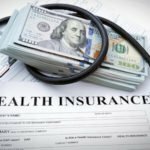 Plus you'll save a lot of money instead of going on a Individual Plan and if you are in need of a lot of medical attention it would be better for the group insurance and other participants to not enroll in it. In Texas, the only Under 65 rates are for Plan A. Here are the companies & rates per the Texas DOI website. The question was asked 11 years ago. Does it matter Mr. Consultant? Help Me Find a Hospital Indemnity Plan!